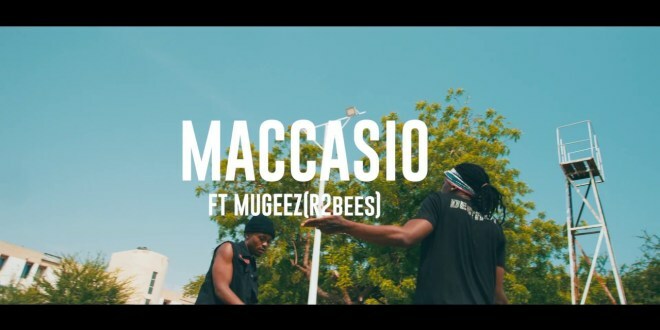 One of Tamale’s biggest musicians, Maccasio has hooked up with Mugeez of R2Bees to set the year 2018 ablaze. The ZOLA Music record label frontman has kicked started the year with a brand new Afrobeats record titled “Dagomba Girl” featuring Mugeez’s soul-soothing vocals. “’Dagomba Girl’ compliments young ladies who aren’t charting the path of the so-called ‘slay queens’. The song praises any hardworking, respectful and descent girl,” Maccasio explained the concept. “Dagomba Girl” is a slow-tempo jam which fits every occasion. The song was produced by MOG with a magic touch from legendary Possi Gee and the classic music video was directed by Salifu Abdul Hafiz of Digital Creative Media.